Allegheny Region is hosting its driver education weekend event at Pittsburgh International Race Complex on Friday-Sunday July 27-29, 2018. Allegheny Region driver education events always fill up fast, so register early. We would hate to see you on the wait list! 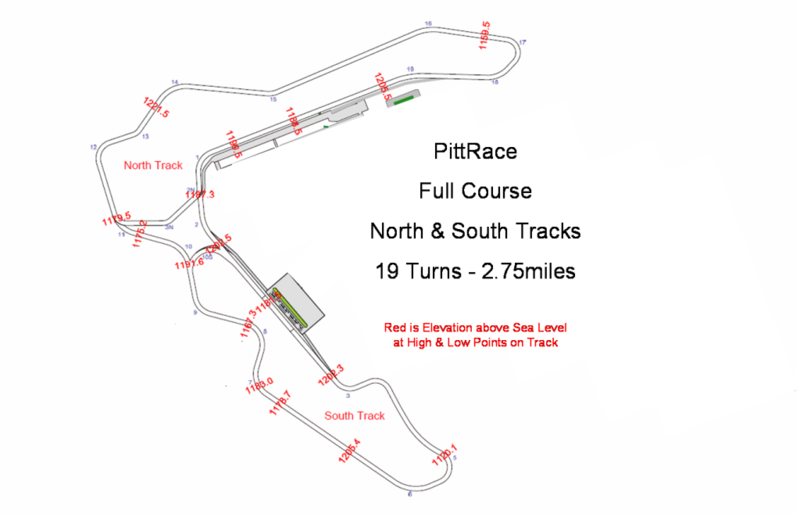 Pittsburgh International Race Complex (known at PittRace) is just a short 25 minute drive north of the Pittsburgh International Airport with easy access to the Pennsylvania Turnpike (Exit 10 (from the West), or 13(from the East)). The circuit was expanded in 2015, now with nineteen corners, over ninety feet in elevation change and 2.75 miles in length. The track is now very challenging for even the most experienced driver, including new pavement and curbs. Forget about attacking just the old North Course, you will be on the full circuit and you will not be disappointed!